At some point in life, you may need to go to IA, Instagram Anonymous, for your addiction to the app. Ok, that’s an exaggeration, but let’s be honest, we are all addicted to our phones to an extent. We rely on them daily, even hourly. They wake us up, they keep us informed, they keep us entertained, they keep us connected. Whether it is an android or iPhone, your cell phone gets you through the day. So, who do you go to when your phone breaks? Come to iPhone Repair West LA for the best smart device repair services in West LA. We know not one size fits all. Some love androids and some love iPhones. There are also those that love the whole line of Apple products, or those that use tablets or Google devices. So, we make it a point to have our staff trained and certified to repair all different types of devices. This includes iPhone, Android, iPads, and computers, among many others. We want you to feel at ease when coming in and give you a reason to come back if any other smart devices malfunction. Beyond the average cracked screen, there is a number of other issues that can come up on your device. Charging issues could mean your battery is broken or there is something wrong in your charging port. Lack of recognition on your touch screen could mean something is wrong internally or there is water damage. Or, maybe your crazy ex decided to change your password on your phone. We can take care of all of these issues at iPhone Repair West LA. Phone issues always happen at the worst time, like when you’re expecting a callback from a job, or trying to contact your boss. That is why we get you in an out as quickly as possible, and back to your life. 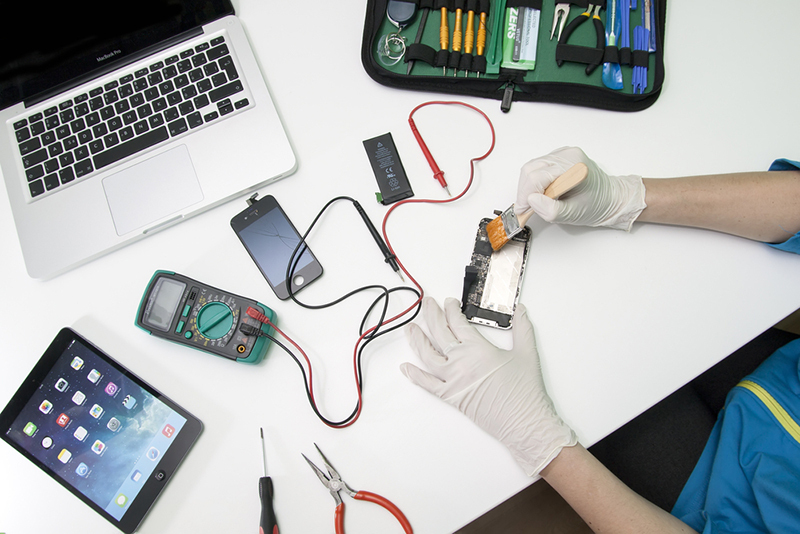 Repair Your Device With The Best Let our professional repairmen fix your device at a low cost and in a timely manner. You can give us a call and find out how we can help at (310) 409-9666 . Shop our wide variety of phone cases, chargers, and accessories. While in our store, you may even choose to buy a new phone from us, trade in your existing one, or sell it to us.